Sometimes the simplest things in life are the hardest. Allah Subhaana wa Ta’aala has taught us how to live in this life and how we should live amongst each other. Of course all monotheistic religions teach not to lie, cheat, steal, etc., but in Islam we are taught that and how to act with one another. Sociology is the study of how we communicate with one another. Sociologists believe the best way of communication is to study the person, their environment, their origin, etc. On a personal level, I don’t believe I need all this information in order to communicate properly. 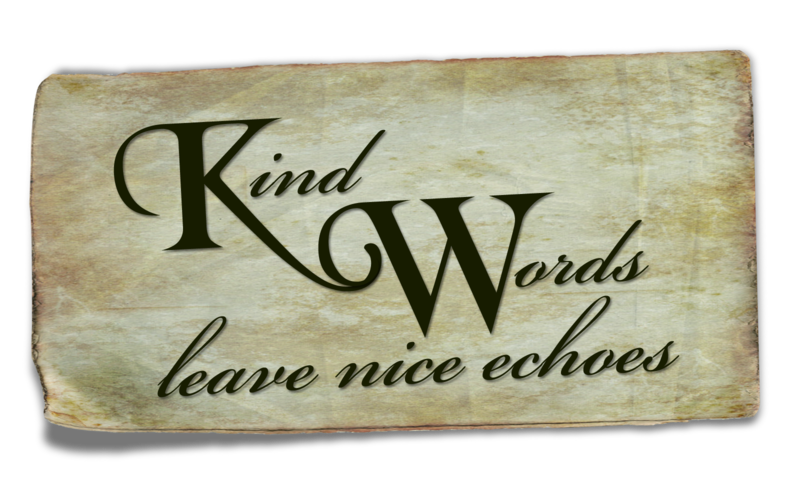 If I give nice gestures and kind words, I’m sure I could exchange hours of pleasant conversations with individuals. Yes, knowing their background will help me to find similar interests but I believe this will come in time. Communication is not the difficult task here, but it is communicating when there is a conflict or disagreements with others. The question is, how do we communicate when one is upset? Forgiveness is key. Eliminate the anger. Give the benefit of the doubt. Perhaps there was a misunderstanding? I can only come to understand that the reason why we don’t forgive is because we believe that that person doesn’t deserve to be forgiven. When we believe in this, then we are automatically giving ourselves a superior authorization to be able to judge who deserve forgiveness and who doesn’t and we all know who the only Judge is, Allah Subhaana wa Ta’aala. Then we must ask ourselves if we have faults, and how would we feel if Allah Subhaana wa Ta’aala didn’t feel we deserved forgiveness as well? Instead, let us give the benefit of the doubt; let’s hope that we are wrong or find a solution for the sake of the relationship or just for the well being. Stress can never be good! "Kind words and forgiving of faults are better than Sadaqah (charity) followed by injury. And Allah is Rich (Free of all wants) and He is Most-Forbearing. " We are all human, in other words we all have faults, we all make mistakes, but with the right attitude and awareness that Allah is all just, this hard task of being kind and gracious will become very easy, and an automatic one. You will never have to worry about your stress level, which is a number one cause of many illnesses like diabetes, panic attacks, heart attacks, high blood pressure, obesity, etc. Now to make sure there are no misunderstandings, I don’t want you to think that I’m saying you should not have a care in the world about those who upset you, but rather be rational when you speak. 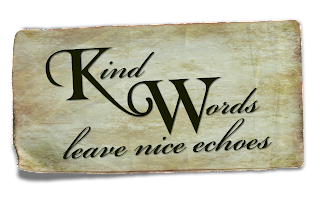 Sometimes kind words can make a person pause and reflect. Always be ready to lend an ear instead of being quick to respond and trying to be clever. When people communicate with each other they are trying to share what they are feeling, or experiencing, and if you have something negative to say, don’t say it. Nothing negative can benefit a person! and he who believes in Allah and the Last Day should show hospitality to his guest. " Always start with the positive then you can share your thoughts without hurting one another. If you want to advise, wait until they ask for it, or you can always ask if they would like some advice. Never assume people want to hear it! Always wait your turn to speak, remember when two people speak at once the Shaytan (devil) is between them. If you are having trouble forgiving someone, try turning the table, both with yourself and with them. I’ve experienced that people better understand when the situation is turned on them and vice versa. Some may think that they are right, but you don’t really know until you have heard both sides, or both sides had a chance to be heard. Forgiveness is a hard task especially when extremely hurt, but if you want to be happy and move on peacefully, then you must work at it. Some feel that it isn’t worth it, perhaps the individual doesn’t mean much to them. If this is the case then you should think twice! Maybe they are not worth much to you but they are worth something in Allah Subhaana wa Ta’aala’s eyes, don’t under-estimate Allah, he loves more than a mother could love her own child! To upset any creation of Allah and not even care about them or their feelings is something one should take in precaution. I can’t say this enough… “We are human,” we will make mistakes, but that which makes us different from the Shaytan is we repent, and therefore we should seek forgiveness from those we hurt and those who hurt us. You never know if Allah Subhaana wa Ta’aala will not forgive you because you refused to forgive another. and shower His wrath upon you!" and beware of harshness and Fuhsh (i.e. bad words)." She said (to the Prophet), "Haven't you heard what they (Jews) have said?" He said, "Haven't you heard what I have said (to them)? while theirs against me will be rejected (by Allah). " We should be cautious before we speak, and if we haven’t forgiven someone then you should think twice and ask yourself if they are worth Allah Subhaana wa Ta’aala not forgiving you for your faults!? Remember communication is very important; the human race can’t live without it. You’d be surprised what a simple "forgive me" would do, or "I forgive", would mean to another. It just may open your doors to a more fruitful and peaceful life and afterlife, insha Allah…So ask yourself, have you upset anyone, have you asked for their forgiveness? Has anyone upset you, would you accept their forgiveness? If so don’t wait for them to make the first move, Allah is waiting on whom to give his blessings to, will it be you? mashaAllah awesome post, subhanAllah you girls somehow share something lifechanging for the things i am currently going through. Jazaakumullah khair. ps. can you do a post on the best words to advise someone who is stubborn and reluctant to forgive? Insha Allah. On a quick note. The Prophet (sws) said that: “Whoever suffers an injury and forgives (the person responsible), God will raise his status to a higher degree and remove one of his sins” (Al-Tirmidhi). Plus it is a cleans to ones soul. She will feel better and no one will feel her anger except herself, therefore she will be only hurting her self. *This doesn't mean she should hurt that who hurt her, infact our prophet gave gifts to those who offended him.